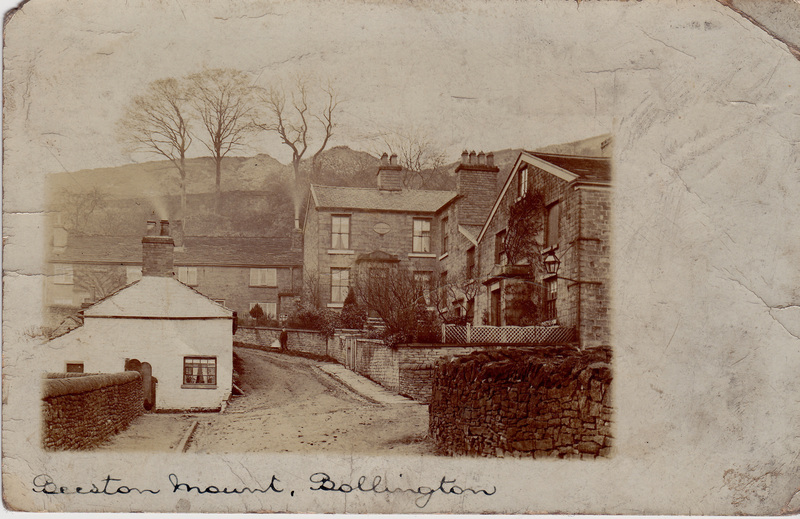 Here are two pictures of Rock Cottage, Bollington, (built between 1844 and 1858), on Beeston Mount, Bollington, the first from about 1905, and the second from 2015. 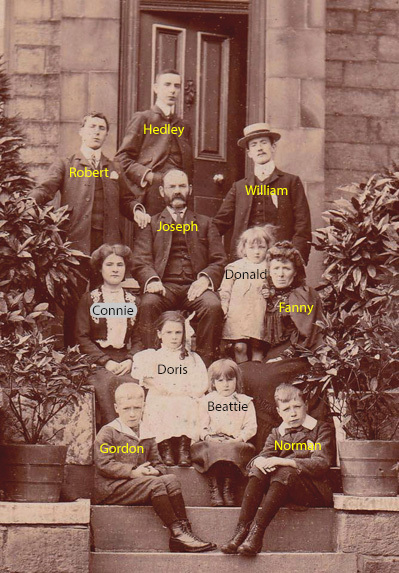 The first picture is of the Stewart family, with Joseph Stewart, the head of the family, at the centre, together with his wife Fanny, and their nine children Hedley, William, Robert, Donald, Connie, Doris, Beattie, Gordon and Norman. 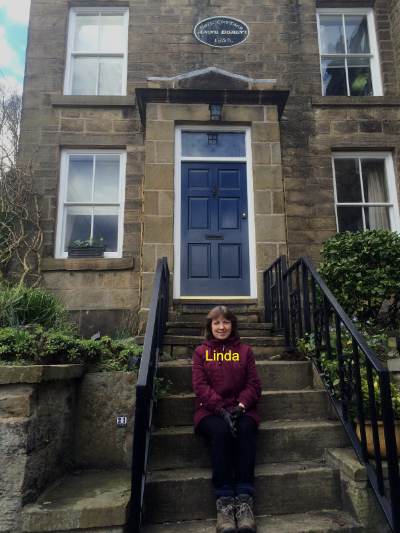 The second picture is of Linda Stewart great-grand-daughter of Joseph Stewart, and grand-daughter of Donald Stewart. Donald Stewart and his wife Stella ran the Dog & Partridge inn for a time. Members of the Stewart family lived in Rock Cottage until 1987 (the last being Doris Stewart). In 1871, the census indicates that the Holden family lived there. George Holden was a cotton spinner. He lived with his wife Emme, sister-in-law Annie, daughter Ethel and 2 servants. In 1881, the census indicates that William Longworth lived there, with wife Betsy, 3 daughters and a son. In 1891, the census indicates that Joseph Harrison lived there with his wife Karen and a daughter. By 1901 the Stewart family lived in Rock Cottage. 1911: The Stewart family were all still living here. 1939: Only three Stewarts are still living at Rock Cottage by now. The mother Fanny and two daughters Doris and Connie. Fanny and Connie both died three years later. Doris stayed at Rock Cottage for many more decades. Rock cottage is the one facing down to the photographer, almost central.